Escreo is an innovative Bulgarian company, producing dry-erase paint that transforms any flat surface into a place for writing and drawing. Escreo gives a new perception about every surface around us, for it becomes a place for writing, drawing and sharing ideas. This is not a story for the sometimes neglected children in us with a desire to paint everywhere (even on the walls), this is actually real. 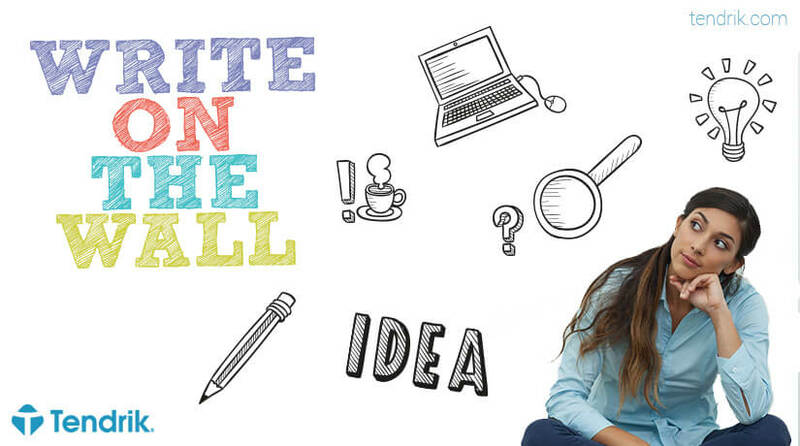 That’s right – we are now able to write, scribble, brainstorm and paint the wall. The company aims to transform not only our workplace but also our lives. With their “magic” paint applied on walls and other surfaces, turning them into an area with characteristics of the whiteboard, they give voice to their idea – make a place for creativity, for the easy sharing of ideas and a convenient way of expression. So not only we can visualize our ideas more easily and quickly, but can also build a better relationship between us and the others. With Escreo’s help we can stimulate the creative process and our productivity in a fun and easy way. It all began in 2015. After their participation in an entrepreneurial program in the US, Elena and the rest of the team returned inspired and determined to implement the idea on Bulgarian soil. They were also inspired by the fact that innovation is limited (not all, but primarily) to the technological sector. And while the focus is on technology, they, on the other hand, are not afraid to “craft” and create a real product to sell. How, however, they differ from other similar companies? Firstly, Escreo is not just a whiteboard. They create a special and unique design and plan for each of their clients – one that meets their requirements and needs. The paint can come in many forms – round, square, irregular, in the logo of the company itself and others. It can also be in different colors. It can be virtually on any smooth surface in a certain room/place – a desk, table, wall, door, etc. You can even add a magnetic coating on which to place notes with magnets. Or choose a matte one, suitable for writing and projection. But they not only offer a better alternative to the whiteboard, better communication and ways of expression in diverse forms, they make their own product. The manufacturing process is carried out in Bulgaria and in particular Rousse. Thus it is under their supervision and all steps of the process are monitored, optimized and innovated at the same time. They ensure the quality of their products (made exclusively with high-quality materials) and thus can afford to be much more flexible and adapt to the needs of its customers. Having conquered the Bulgarian market, Escreo is now motivated to do the same with the foreign one. In order to do so, Escreo put their trust in Tendrik. We prepared their digital marketing strategy, tailored to the needs of foreign markets, emphasizing on Facebook and Google.